Please take a moment to read some of our wedding video reviews from a selection of our wonderful bride & grooms. Allan and Maggie were fantastic from the start and we met them several times prior to our wedding and they really made us feel at ease with them. We flew my brother in law in from Australia to surprise everyone on the big day and Allan and Maggie turned up extra early, with short notice to film the whole event of him meeting his mother for the first time in years! They really went above and beyond for us helping out with jobs that were way out of their roles. We are absolutely thrilled with the finished product. We booked ‘Strike A Pose’ after our original supplier let us down and from the very first contact they were absolutely brilliant. They were very responsive and professional in their communication and keen to understand how we wanted the finished product to look and feel. Allan and Maggie took the time to meet with us beforehand to discuss the day itself, how the process would work and understand the overall ‘feel’ of our wedding. They were very discreet on the day but still managed to get some amazing footage when we didn’t even know they were there. After the wedding we had a ‘sneak preview’ video within days which was brilliant and the full version not long after. They were very happy to tweak the final version until we were completely happy with the end result. We would definitely recommend them to anyone! Allan and Maggie provided first class service from the moment we met them to discuss the possibility of having a Videographer. My Wife was apprehensive about the thought of having the day recorded but she need not have worried. They went unnoticed throughout the whole day, they were friendly, reassuring and extremely pleasant to work with. The video itself is absolutely amazing, it really captures the fun, loving, romantic atmosphere of the entire day. Myself and my wife cry and smile every time we watch it. Allan was great, we live overseas so he was very accommodating to our limited time to organise the finalise the last details. The suggestions were all met and the video looks amazing! He then sent our video with a thank you card to us in Australia. Allan and Maggie were wonderful, leading all the way up to our wedding and on the day itself. At our initial meeting they went through how everything would work on the day and asked about my husband and I and our wedding plans. Communication was quick and easy on the run up to the day and they were happy to incorporate all of our special requests. On the day they just blended into the background and captured everything we had hoped for. The overall video was fantastic, we were so thankful to have chosen Allan and Maggie as our videographers. Absolutely brilliant service from start to finish! 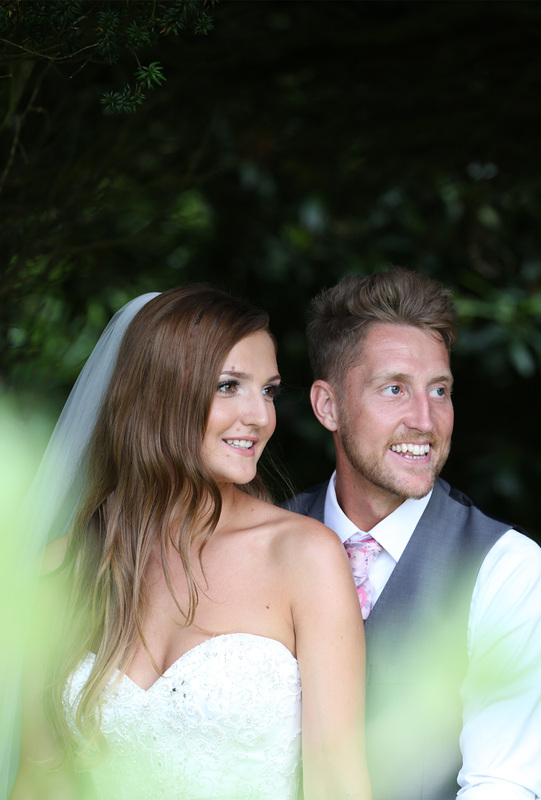 Loved having Allan and Maggie as our videographers – couldn’t have chosen anyone better. They really went the extra mile made us feel comfortable and confident in their work before our wedding and during the wedding they were just brilliant! Always going above and beyond. Our video was fantastic even managing to use my sister’s surprise singing at the wedding as a backing song within the video that made it even more special to us. I could not recommended them enough. Maggie and Allan were very well organised which made us feel at ease, the video itself has made people wish they had got their wedding recorded. During the day we totally forgot that they were recording which has ended up with some amazing footage, anyone that is getting married gets ‘Strike A Pose’ number off us as we couldn’t recommend them enough. From the initial meeting at a wedding fair we felt comfortable with what was happening. Allan & Maggie made us feel at ease from the get go, not only are they professional but also super friendly & none imposing on your big day. They offer a fantastic package deal which I believe is necessary for a videographer. Many deals are too expensive which can be off putting especially when I feel that a wedding video is an essential to the biggest day of your life. ‘Strike A Pose Wedding Movies’ deserve such praise for our beautiful video. We cry whenever we watch it and the quality and story it tells is magical. We can never thank this lovely family enough. They met us before and understood just what we wanted. They seemed to fade into the background on the day but turns out they were everywhere! They are lovely people and the video is something we will treasure forever. First we arranged a meeting with Allan and we told him what we were looking for. He then went off with recommendations and suggestions. We combined ideas and the end product was absolutely outstanding. Both husband and wife are approachable, understanding, professional and a pleasure to have at the wedding. Couldn’t recommend them enough! I cannot recommend ‘Strike A Pose’ enough! From the moment we met them we knew they were the perfect videographer team for us. They were so friendly and just made us feel at ease. 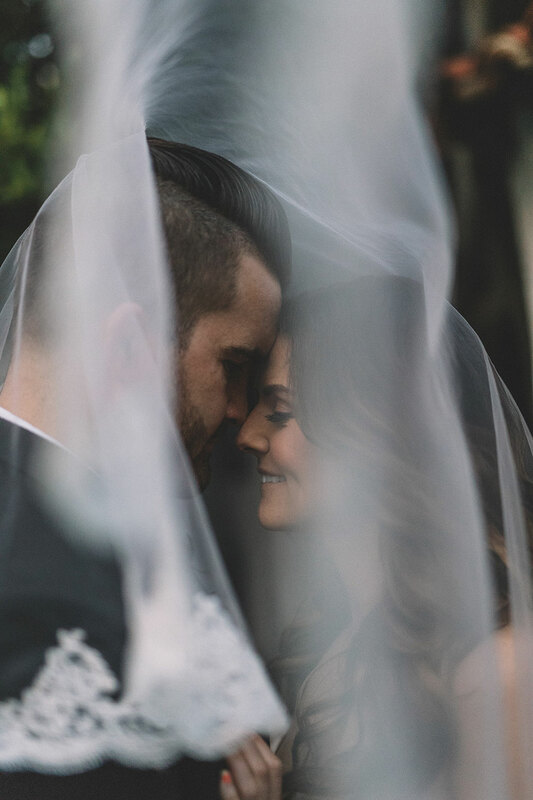 We loved their natural shots and that they were able to catch each special moment of our big day! We now have memories we can treasure forever and we can’t thank them enough! Allan and Maggie were fantastic videographers at our wedding. They captured some amazing moments, blended into the background and worked seamlessly with our wedding photographers from ‘Abbie Sizer Photography’, which meant at no point were people asked to pose for video shots and we barely noticed they were there (in a nice way). The end result was amazing, we have a wonderful video to remember the parts of the day that went so quick and even see parts of the day we missed completely! We would definitely recommend Strike a Pose! Allan and Maggie went above and beyond whilst filming our wedding. Firstly… they travelled all the way to Italy for our special day!! We were planning from Australia which was sometimes a little tricky but regular contact from Allan made me feel at ease and he ensured they knew exactly what we wanted from our video. From start to finish they were professional and friendly and made our family and friends feel completely at ease on the day. After the big day they followed up with an email to thank us for letting them be a part of our day (we were the ones thanking them) and our sneak peak video was ready in just a couple of days!! Our finished product was also more than we could have ever imagined with them capturing every moment perfectly… we have probably watched the video more than 10 times already! Would absolutely recommend ‘Strike A Pose Wedding Movies’ to everyone. Allan and Maggie worked very hard on our wedding day and nothing was too much trouble. Even from having meetings with them at wedding fayres they were always so friendly and remembered our faces. On the day itself they were so discrete. 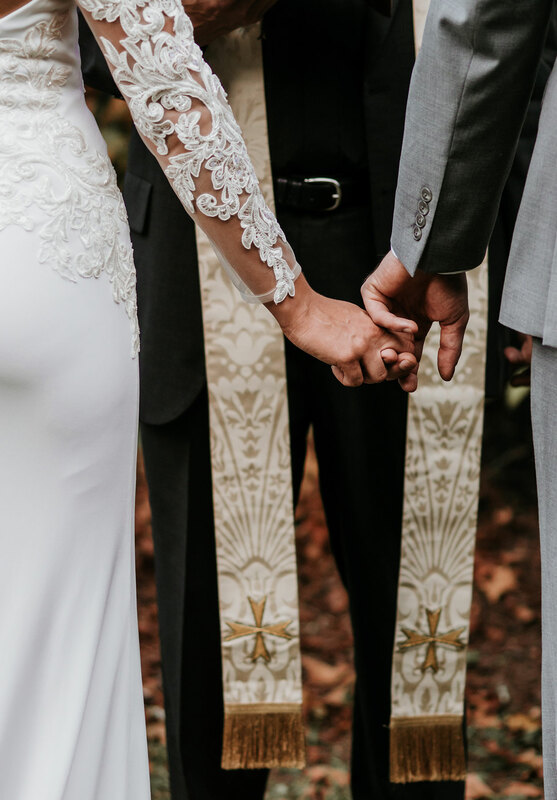 Our wedding video is absolutely beautiful, and we cannot stop watching it. Thank you for making our day so special and capturing the moments we never got to see. Allan and Maggie are such a lovely couple and are absolutely fantastic at what they do. They are so friendly and everyone at our wedding commented on how lovely they were and how hard they worked. Our wedding video is amazing, there are just no words. My husband didn’t want our wedding to be filmed but now always says he is so glad we had it filmed and will recommend ‘Strike A Pose’ to anyone getting married, as I would do too. Definitely made the right choice choosing them. Allan & Maggie were amazing from the first day I contacted them to the point where we received our wedding video, and beyond providing excellent customer service. I was wary of how the filming would work but I never noticed them there during the day but they still caught every smile, laugh and look of love. It was wonderful to see our guests enjoying themselves and they all complimented us on our choice of wedding videographer. We can’t speak highly enough of Allan & his team. From the first meeting he put us at ease and demonstrated that he could meet all our expectations for the wedding video. On the day he was able to get the best footage without being obstructive & our guests even said that they didn’t realise they were being filmed. We loved how the whole day was edited together, our favourite moments and music matched up so well. It must have taken a lot of time, skill and effort to put together something so perfectly! The added extra of the ‘coming soon’ video made us and our guests even more excited to see the finished product and we were not disappointed. Allan and Maggie were amazing, true professionals. They met us before the wedding talked us through the day and what they did, answered all our questions and nothing was an issue for them. They stayed at the hotel we were staying at the night before to ensure they weren’t late the next day. On the day you would never known they were there, it wasn’t intrusive at all, they put everyone at ease. Our wedding footage is everything we wanted and more, we watch it over and over again. Allan and Maggie are so professional but such lovely, friendly people, they are fantastic at what they do and we couldn’t recommend them enough. They strive for perfection and achieve this on every single level of what they do. Amazing! ‘Strike a Pose’ were absolutely fantastic we couldn’t have asked for a better service. Allan and Maggie were extremely professional and we are thrilled with our wedding video. From the moment we met them we knew that they would do a great job and they absolutely did. Both Allan and Maggie were lovely to work with and made us both feel at ease with their relaxed and friendly manner. They went above and beyond to make the perfect video that we will cherish forever. 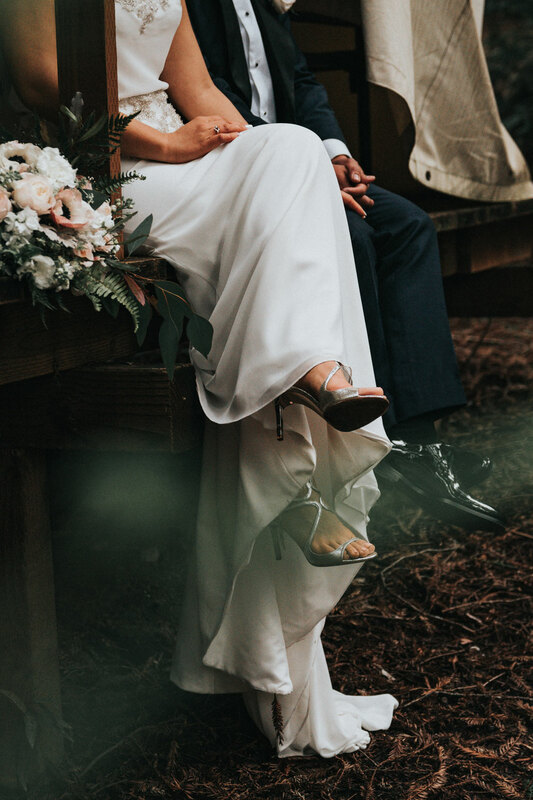 Guests commented on how efficient and professional they were and seemed to be everywhere capturing every special moment of our day, even though you barely noticed they were there! They actually felt more like wedding guests and we loved having them at our wedding. We invited friends and family round to watch the video and they were so impressed they have requested copies! Allan and Maggie made sure that our memories will last forever and we just cant stop watching our video. We hadn’t even thought about having a wedding video until we saw a snippet of the video that ‘Strike A Pose’ had made for our friends for their wedding in April 2017. As soon as I saw it I knew I had to have one for ours! We contacted 5 videographers in the area including Allan & Maggie at ‘Strike A Pose’ and from the initial enquiry I just knew we would choose them to video our wedding. They were the only ones to ask to meet us one night to talk through their packages and to get to know us in person. Their attention to detail was second to none, even providing a stamped addressed envelope to send the paperwork back to them. 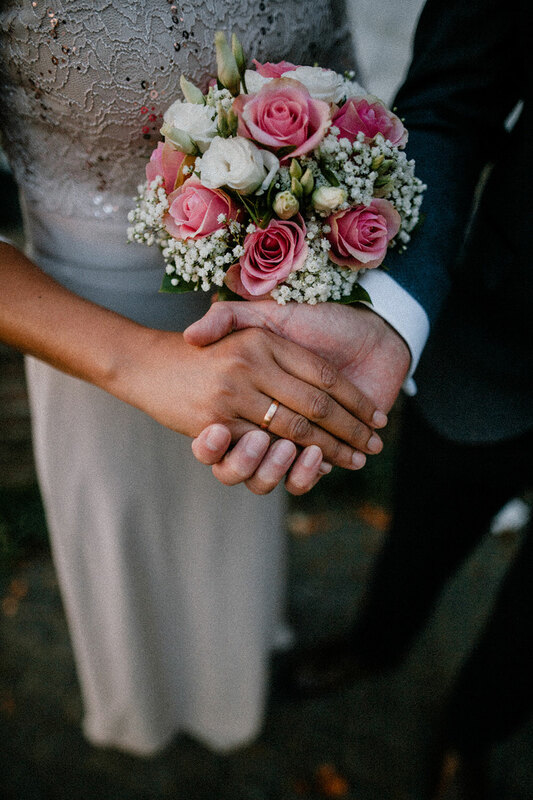 Having worked as a wedding coordinator previously, it is this customer service and knowing they actually wanted our business that really impressed me. On the day they made us both feel so relaxed and we barely even noticed that they were filming! Having both Allan & Maggie as part of our wedding was such an honour for us and only a couple of days later they had already provided us with a 2 minute snippet video of what was to come. The quality of the video compared to those we saw from other companies is so amazing and absolutely second to none. I’m just extremely pleased that our friends chose them first so that we had the pleasure of them videoing our wedding too! I honestly can’t thank them enough and have said to our friends who get married next year that the first thing they need to book is ‘Strike A Pose’ for their wedding. Allan and Maggie from ‘Strike A Pose Wedding Movies’ were absolutely fantastic- right from before the wedding to on our big day and receiving our videos! Before the wedding Allan and Maggie like to meet with their clients to get to know them better, get details about the day and answer any questions, we thought that this was great and it was great to meet them beforehand. On the day, Allan and Maggie were outstanding. They covered all areas, grounds and aspects of the wedding day; Allan was in with the groom and the boys and Maggie with the bridal party to film everyone getting ready. They caught so many special moments on camera.. including our niece bursting a bubble! – that we won’t have seen if it wasn’t for them, but they did all of this without us really even noticing the cameras were there! We were sent our wedding video trailer so quickly (only a couple of days after the wedding! ), we were so happy and surprised! It was amazing and Allan and Maggie captured everything in this short trailer. Our wedding videos arrived very quickly also and we were very impressed with the quality and fast production. The videos were amazing and took us right back to our special day, capturing every moment and more! Even bits we thought might not have been caught on camera/video (for example when the groom spontaneously lifted the bride when dancing!). The presentation of the videos is also perfect. It comes so neatly and beautifully presented on a customised USB in a box, and Allan and Maggie give you a choice of formats. Allan and Maggie are very friendly and caring and pay extra attention to detail and keeping everyone happy. They were easily contactable and got back to us answering any questions very quickly. Whilst editing the videos, Allan was always in contact and happy to make amendments. We recommend ‘Strike A Pose Wedding Movies’ to everyone getting married in the North East! The best decisions we made was deciding to get our wedding filmed, and choosing Allan and Maggie to do this!